Blizzard badly misread its community, says BioWare Mythic's general manager. Blizzard's plan to force posters to use their real names on its forums was met with a great deal of resistance and was scrapped just days later. But while Blizzard might have changed its mind about Real ID, BioWare Mythic's general manager Eugene Evans said that he was surprised that Blizzard had proposed it in the first place. 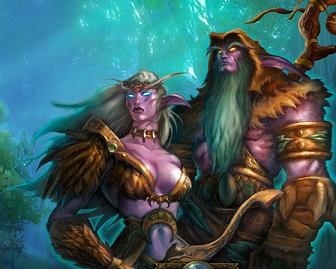 Evans said that Blizzard had badly misread its community, but was pleased to see them responding to feedback. "We should all learn to listen to our communities," he said. "Their community made it very clear what the right answer is." When asked if his company might implement a similar scheme, Evans simply stated that it was something BioWare Mythic would never do. Warhammer Online producer Carrie Goukous was more emphatic however, saying "No. Never. Never. No," to the idea and added that she'd personally had some very negative experiences with similar systems in the past, and that she would fight such a system "tooth and nail."